On 2019. 03. 07, the Taxi Union, Kakao carpool (car sharing platform), and the government finally reached an agreement that resolved the conflict between taxis and carpool. The concept of carpool began in 1992 with the ‘Car Sharing Movement.’ The goal was to provide an alternative system that will reduce traffic jams in Seoul. Based on Article 81 (1) of the Passenger Transport Business Act, Kakao, a Korean IT company, tried to implement carpool through an online-App. Although the government allowed it; the Taxi Union fiercely opposed it and protested against it vehemently. On 2019.01.23, Social Compromise Organization was launched. The government is trying to mediate the conflict between the interest between taxi companies and companies providing carpool service. To this end, the,(Government / the Democratic), the taxi union, and carpool industries launched a ‘social compromise organization’ to reach an agreement. But CBS poll showed that 54% of the public opinion said ‘yes’ on using carpool service, and only 28% said ‘no’. The taxi union has been criticized for opposing the carpool app (supporting government sanction on carpool service) despite many citizen’s support on Carpool. This situation continued. More than 150 meetings were held by ‘Social Compromise Organization’, and a variety of incidents occurred, including the 2019.02.18 taxi industry strike and taxi driver’s burning themselves to death. The agreement was finally made in 2019. 03. 07. The taxi industry and Kakao agreed to allow carpool which is allowing carpool service only to four hours of commuting time between 7 A.M. ~ 9 P. Mand 6 P.M. to 8 P.M during the week. Also, other agreements such as the implementation of the taxi driver’s monthly payment system and introducing ‘Platform Taxi Service’ in the first half of the year have been made. The taxi driver monthly payment system is a concept that is not found in other OECD countries, but it will be introduced to Korea to guarantee the right to survive under the special circumstances of Korean taxi drivers. In addition, ‘Platform Taxi’ refers to a service that combines various additional services into existing taxis by launching customer-based taxi services, such as women’s safety taxi and pet taxi. It is planning to reduce the number of taxis that are absent by using existing taxis rather than those that are used by carpool businesses. The plan is to use a taxi which is not in the right time zone or which the driver is resting as a ‘Platform Taxis’ so that both the taxi and the carpool can coexist. However, this service is only possible when legal regulations regarding taxis are lifted. Currently, there are regulations such as the non-delivery and non-operation of taxis outside of the city or province, and these regulations must be lifted to introduce platform taxis. This agreement played a big role in the first step toward a ‘Sharing Economy’. 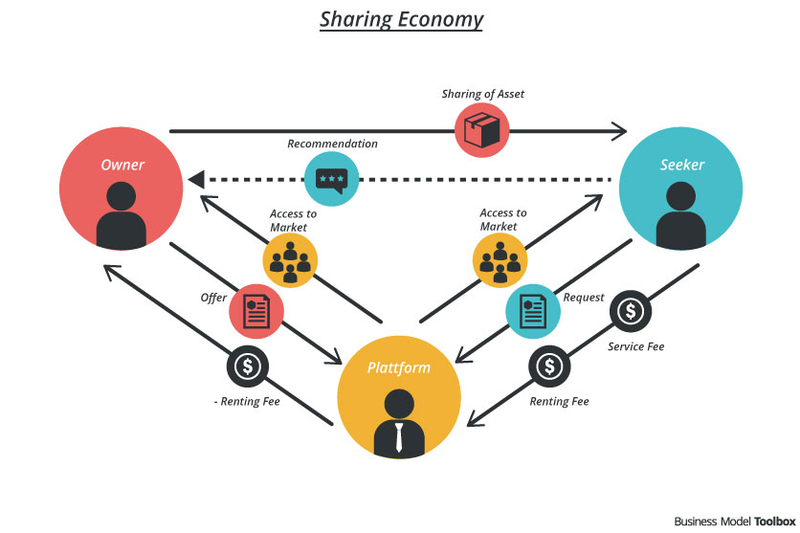 A ‘Sharing Economy’ is an online-based open business model in which goods or spaces, experiences, and talents are shared by many individuals through collaboration with others, and carpool also has this concept of a ‘Sharing Economy’. Many foreign companies, including Uber and Air BnB, joined the trend of a ‘Sharing Economy’. The agreement gave a chance to all the sides to come together and discuss the ‘Sharing Economy’. 150 meetings allowed the government, businesses and labor union to participate, yield conflicting interests and make profits for each other.